CEA Project Logistics Myanmar recently carried out the demobilisation of 14 Gas Powered Generator Sets and accompanying parts and accessories from a Power Plant project in Kyaukpyu, Rakhine State to Yangon and then onwards to Singapore. The initial part of this project began with the transportation of the vehicles and equipment necessary for the demobilisation. 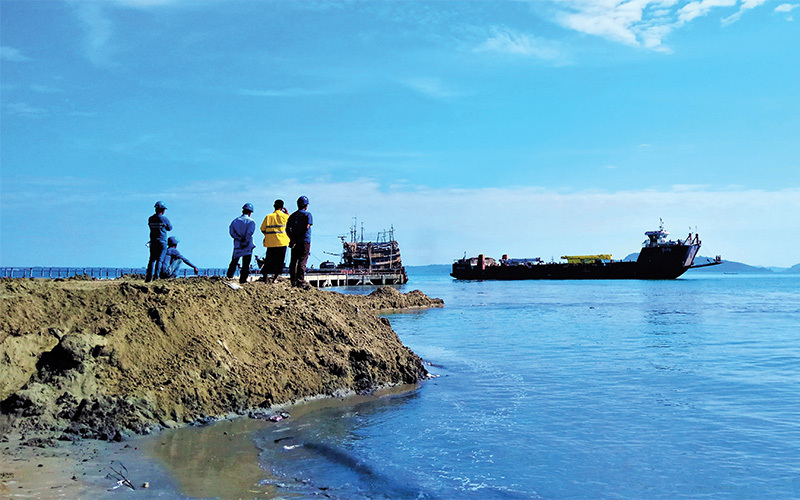 A 1500 Tonne Landing Craft Tank (LCT) barge was loaded then sailed from Yangon to Kyaukpyu on the West Coast of Myanmar. 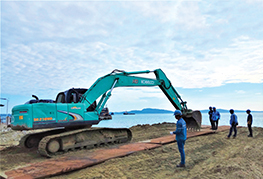 In preparation for the barge’s arrival, a section of beach was cleared with an excavator and steel plates laid down to ensure a smooth, safe roll off for all vehicle’s and equipment. 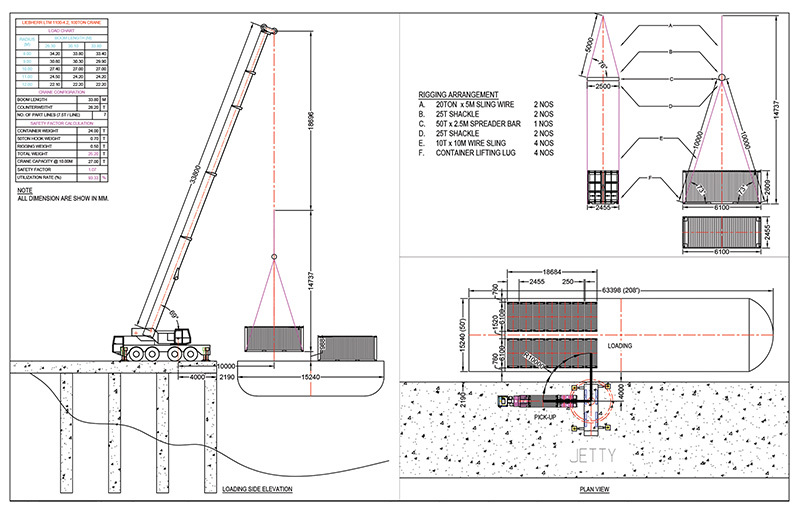 Due to the project involving a beach landing, careful attention was paid to the local high tides to ensure the barge arrived and departed at the optimum time without any interruption or delay to the operation. 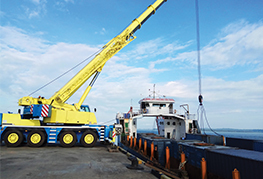 CEA carried out all crane operations at the Power Plant site and transportation of the 14 Generators Sets housed in 20ft Containers to the Posco-Daewoo Jetty 15km away. The containers and accessories were lifted and loaded onto the barge in two separate shifts over 24 hours. Upon arrival at the Myanmar International Port in Yangon CEA completed all the necessary customs documentation. 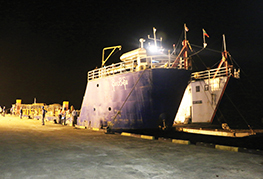 After approval was granted from the Myanmar Customs Office the generators were shipped to Singapore to undergo maintenance and be readied for use on another Power Plant project. For this project, CEA Myanmar worked in conjunction with the Kyaukpyu Government, Myanmar Customs Office, Myanmar Port Authority and the Posco-Daewoo Oil Company. Total project duration from start to completion was 7 days.